Postage and packing to mainland UK is FREE (selected tricycles only). 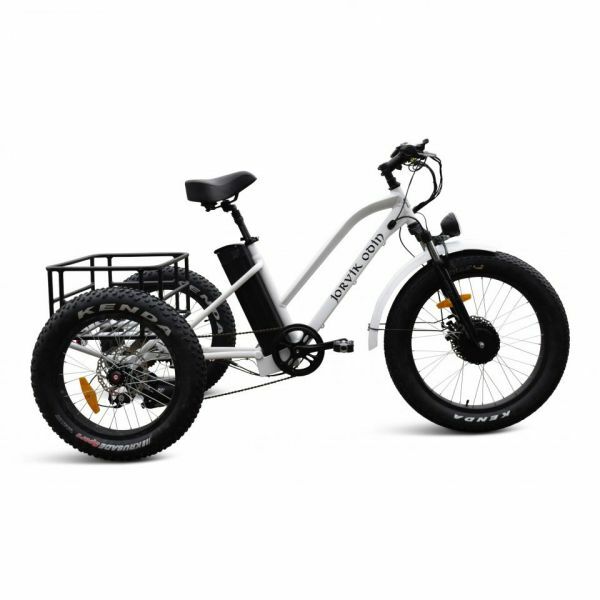 Pallet delivery products such as the Odin off-road mountain trikes and any assembled tricycles are not included. We try to dispatch all our in stock items within 2 working days of the order being placed. Please allow a further 3 to 5 working days for delivery (This may be longer due to bank holidays/busier periods or if the order purchased is on backorder). Delivery times and postage costs to Worldwide Countries, Europe, Highlands, Channel Islands and the Republic of Ireland will vary. Please Note – we will update you accordingly of any delays. Jorvik Tricycles cannot give an exact time of delivery. Where the courier is unable to deliver the Goods, they will either attempt to re-deliver the following day or leave a card for you to re-arrange a suitable time for re-delivery. Delays may also occur due to customs clearance or port delays. Our delivery partners strive to deliver on the date specified however there are occasions where this is not possible due unforeseen circumstances. They will aim to deliver the next working day if this is the case. If the delivery is refused at the delivery address then re-delivery of the item will be the buyers responsibility. Any charges from a change of delivery address once the item has been posted is also the buyers responsibility. We package all our trikes in recyclable bubble wrap and cardboard cartons to prevent unnecessary waste and to help the environment. 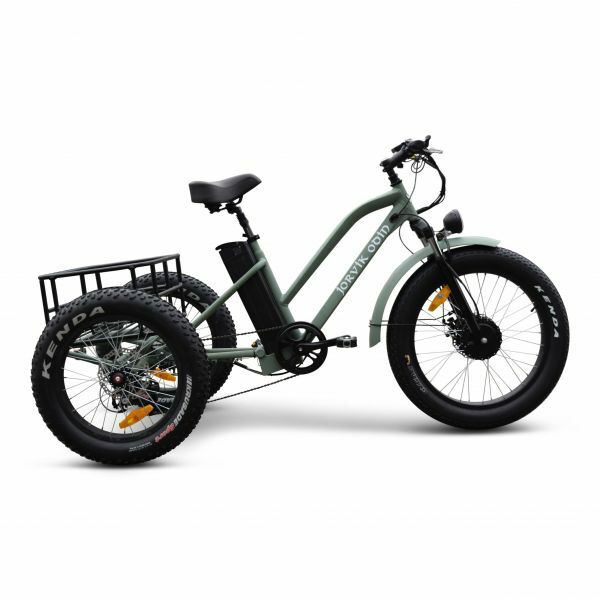 All of our tricycles are packaged and delivered with the utmost care, but we cannot guarantee they will be blemish free, and parts may need aligning back into position due to transport. Assembled Tricycles are dispatched requiring a 6mm allen key as the handle bars will require an adjustment to position into the correct height to suit the rider. 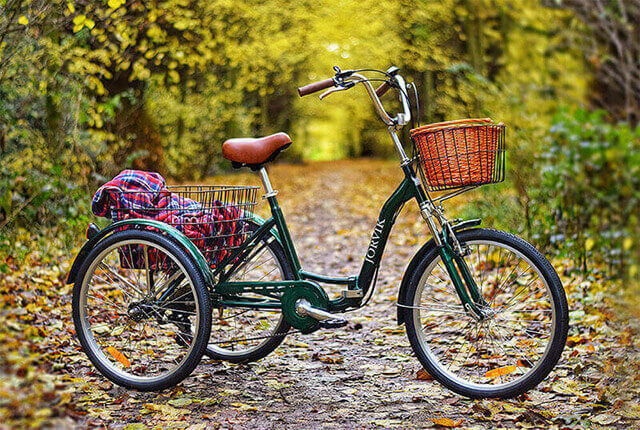 Assembled tricycles gears and brakes will require checking before use in case they are loosened in transit. It is the customers responsibility to ensure brakes and gears are working correctly and adjusted accordingly. Please note that folded, assembled tricycles will arrive folded on the pallet. 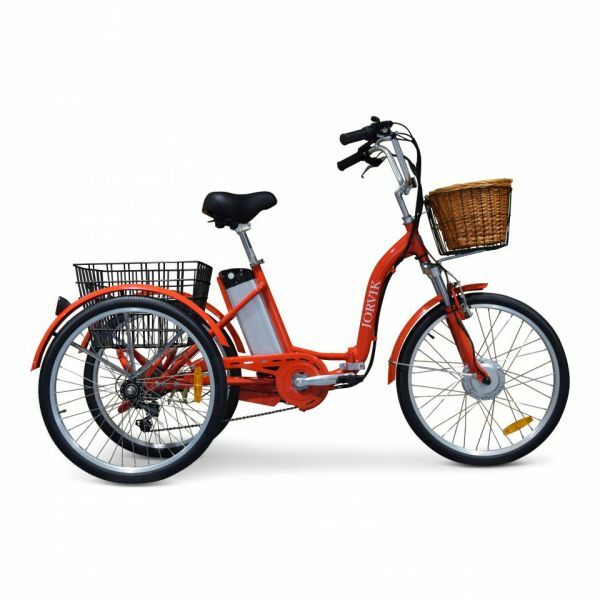 No tricycle is sold as assembled unless agreed prior with the customer and will arrive requiring assembly. We recommend a professional performs the build and that the correct tools are used. Jorvik Tricycles will not be held liable for any build issues and it is the customers responsibility to always carry out a pre-ride check before any ride. We do not accept liability for the costs of returns if the information questioned is noted in the adverts or listings. 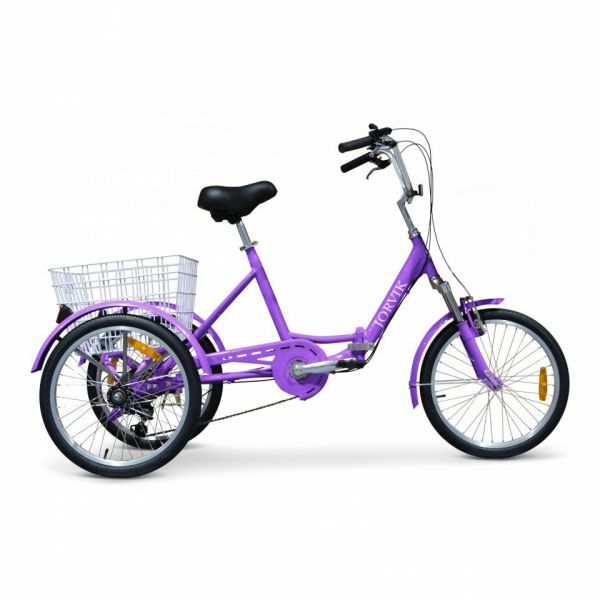 It is the buyer's responsibility to ensure they are purchasing the correct tricycle or accessory. The buyer is responsible for postage costs to return an item in the case of a change of mind. Maintenance will be the responsibility of the buyer. Jorvik Odin tricycles will arrive 90% assembled. The front wheel & handlebars will require fitting, and gears and brakes will also require tuning. Please note that point 7 on page 12 of the instruction booklet is not applicable to the Odin trike. Ex-display models, un-assembled or assembled, are sold on the acceptance that there may be damage to the body or paintwork. Assembled models will require brakes, derailleur, gears, and tyres to be checked and adjusted before use. The buyer of an ex-display model is responsible for any alterations that may be required to the brakes, derailleur, gears, or tyres.